Stocking Winners, Christmas Fabric 50% Off!!!! We will be closed December 24 and December 25.
and be closed on January 1. The votes have been tallied, the stockings were delivered to CASA last Friday, and here are the winners! Yes, there was a tie for third place. It's no wonder...there were so many beautiful stockings to vote for! Congratulations to our winners and thank you to all who participated. The staff at CASA were very happy to get the stockings, and told me several times how much the children enjoy receiving them. We received a thank you note from them already! "We deeply appreciate the Christmas stockings you provide for our annual holiday party. They are beautiful and everyone loves that they are handmade. We think your group of quilters are a very special group to do this for the children we serve and their siblings that don't have a CASA. Merry Christmas from all of us at CASA." Make a Quilt and Make History! 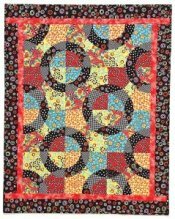 Calling all quilters! California State Parks will commemorate its 150th anniversary throughout 2014 with an online show of quilts created by quilters throughout the state to honor our state parks. 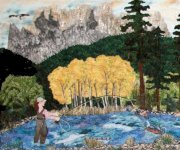 You can participate by making a California state-park-related quilt for their online quilt exhibit, which will be featured on their website. Don't delay, the deadline for the initial edition of the online exhibit is March 20, 2014. Christmas Fabrics are now 50% off!!!! There is still a good selection, so come in soon to make your selections for this year's (and next year's) holidays masterpieces. We have new novelty prints (footballs and soccer balls), new Asian prints, and we've added to our color wall. 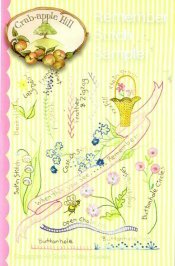 We also received more copies of Sue Spargo's very popular, wonderful book Creative Stitching. 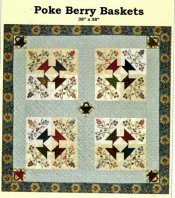 This would make a great gift for anyone who enjoys handwork. Or, a Thistle Dew gift card is a wonderful gift, too! American Girl Doll Sit & Sew, Wed, Dec 18, 1:00 - 4:00 p.m.
Blankets for Preemies, Fri, Dec 20, 11:00 a.m. - 3:00 p.m.
Crazy Quilt Group, Mon, Jan 6, 10:30 a.m. - 1:300 p.m. 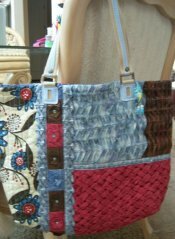 Sit & Sew, Thu, Jan 9, 1:00 - 5:00 p.m. 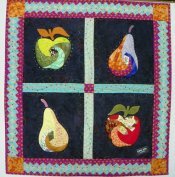 Wool Applique, Sat, Jan 11, -OR- Tue, Jan 14, 10:00 a.m. - 1:00 p.m.
and unusual methods that are the trademark of Rami's award-winning works, including hexagon and biscuit chopkey, mirror-imaged continuously folded prairie points, harlequin tucks, North American hand smocking, and lined prairie points. This workshop could be the answer to those who wish to know about adding 3-dimensional textures and a lot more extra touches to art-to-wear and quilts.